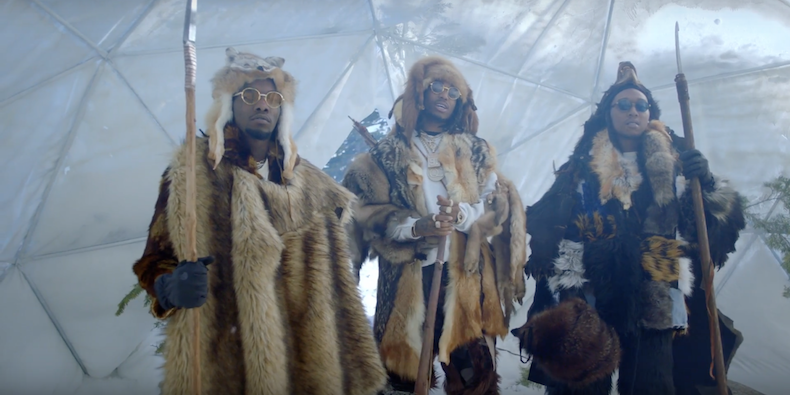 Migos have shared a new video for “T-Shirt” from their upcoming album C U L T U R E. The epic clip, directed by DAPS along with Migos member Quavo, appears to be inspired by the film The Revenant. It takes place in a snowy locale, with the members of Migos wearing heavy furs as they explore the woodsy terrain. Watch it below. C U L T U R E is due out January 27.